Hideo Kojima likes Nintendo's seminal Super Mario Bros. No, I mean he really likes Super Mario Bros.
You can't say that Hideo Kojima doesn't do things enthusiastically. If he wants to talk about postmodernism and the nature of our media-shaped reality, he is going to do it for an hour at the end of Metal Gear Solid 2. If he wants to obsessively tie up every loose end in his series with a cinematic tour de force, he's going to make Metal Gear Solid 4. And if he wants to praise Super Mario Bros., he is going to praise the hell out of Super Mario Bros. In the latest issue of Nintendo Power celebrating Mario's 25th birthday, several big-name game developers chimed in with their praise for the plumber's iconic platformer, and Hideo Kojima was characteristically not one to hold back his words. Shigeru Miyamoto not only altered the future of gaming, but actually changed the concept of 'value' for all forms of entertainment. And, in the process, changed my future-leading me to become the game designer I am today. I feel the game truly deserves to be hailed as one of mankind's greatest inventions. The game's design, sense of fun, interactivity, and cerebral philosophy have made it the forefather of every game that has come since and of every game yet to come. Super Mario Bros. is the equivalent to the big bang of our gaming universe. If it were not for this blindingly spectacular creation, digital entertainment as we know it today would not exist. 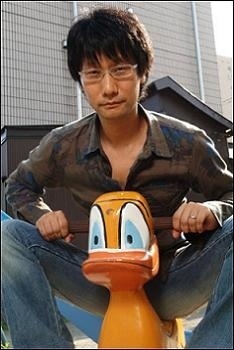 Geez, Hideo. If you keep that up, people are going to start thinking that you like SMB or something.